Once upon a time, three happy little bears in South London had a shiny little coffee doover that made the best little cups of coffee. That cute item cheered them up immensely in the mornings, to hear the water gurgling and the steam whistling as it escaped, bringing with it a rich scent of ground coffee beans. It really was one of the most pleasant ways to wake up every morning. She'd forgot to fill the base of the doover with water, and the heat had got too hot to handle! When the big bear came home, he had a laugh at little bear's silliness, then announced in his big bear voice 'I can fix it in the workshop!' The next morning, he ambled away to his workshop, broken doover in hand...and promptly forgot about it. It got buried under a pile of sawdust and sweat - out of sight, out of mind. Last Tuesday, middle bear and little bear went to visit big bear in the workshop, and sported the sad little doover -no longer shiny now, but dusty - and excitedly exclaimed 'Oh, let's try and fix that!' So middle bear and little bear both grab little offcuts of wood and started sawing, sanding and hammering. Little bear was contentedly sanding down a little piece of plywood when middle bear told her 'That's not going to work, it's going to take too long!' He them started bashing pieces of wood with a hammer. Little bear ignored him and carried on sanding, patiently. About 15 minutes later (while middle bear was still bashing innocent pieces of wood), little bear took her nicely sanded piece of wood and held it up to the coffee doover. Lo and behold! It fit! Middle bear gave up hammering, and helped her fit it with a nut and bolt so it would stay. They took it home, cleaned it up, and had nice fresh coffee the next day! 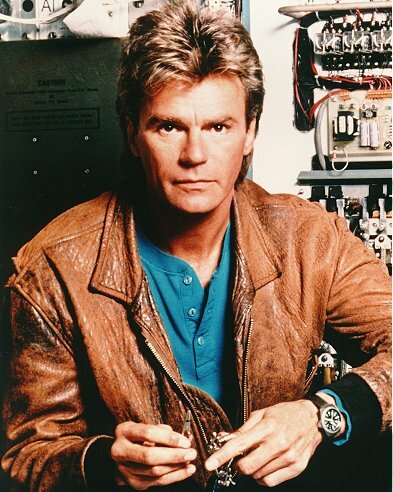 Little bear would also like to give thanks to the handsome and heroic MacGyver for the inspiration. She is certain that, were she to be trapped on a desert island with only a piece of twine and a toothpick for company, she would be able to construct an airplane to escape. She will attempt to make an explosive device using a week-old avocado tomorrow. Stay tuned for more exciting exploits from the three bears!